We have known for the last 50 years that people who smoke cigarettes are much more likely to develop—and die from—certain diseases than people who don’t smoke. More than 20 million Americans have died because of smoking since the first Surgeon General’s Report on Smoking and Health was issued in 1964. Many people do not realize the cigarettes produced today have been manufactured to deliver nicotine more quickly and efficiently than cigarettes produced many years ago. Today’s tobacco products are engineered for addiction. 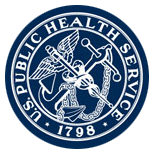 Click here to read the report from the U.S. Public Health Service. When you stop smoking, you will go through nicotine withdrawal. Your healthcare provider can recommend over-the-counter medicine to treat this physical craving. It's important to remember that nicotine craving is a medical problem, and that's why your health care provider needs to be consulted for medication to treat the withdrawal symptoms. While nicotine is addictive, it is the tar, carbon monoxide and the other 7,000 chemicals in cigarettes that actually cause the most damage to your health. Be aware that you may not quit on the first try. Most smokers need a few practice runs to quit for good. Be patient, but persistent.